3 1/2" Hardanger Embroidery Scissors - Curved Tip Scissors for fabric, quilting, embroidery and more at Havel's Sewing. Your source for unique tools for your fabric arts. 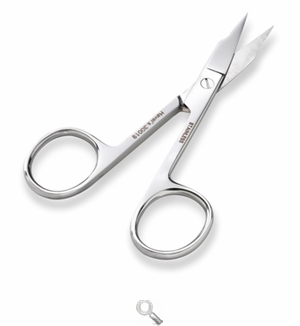 Identical to our 30018, these Hardanger embroidery scissors feature the same arrow point tips, but with a slight curve. 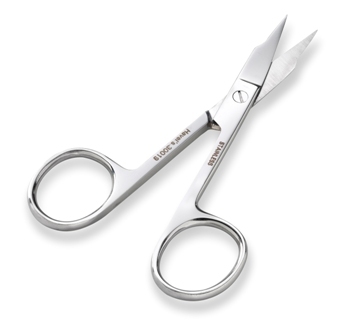 The fine curved tips cut very close to the surface, while the narrow blades get into tight spaces. Quality stainless steel construction.